You must collect your ticket at the PARISCityVISION agency (2 rue des pyramides 75001 Paris) at the time indicated. Ticket valid only on the reserved date. The time indicated corresponds to the time of collection of the Louvre ticket at our agency. The agency is 6 minutes walking from the Louvre. Discover Paris through a Seine River cruise. The Seine river is offering some of the best views of Paris. 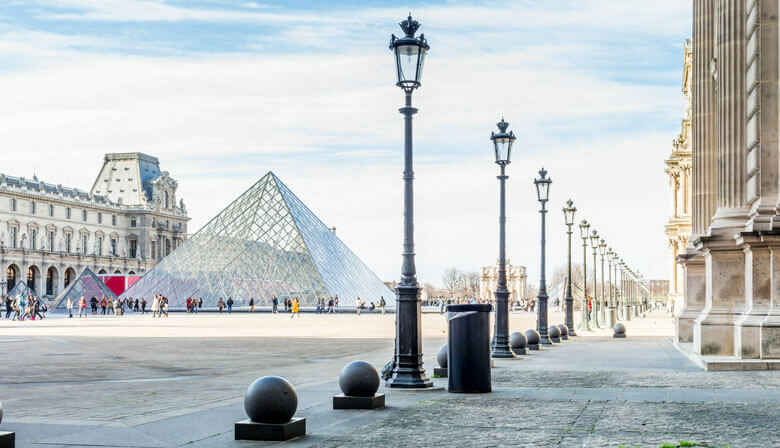 Enjoy a cruise aboard a Bateaux Parisiens boat to admire the Parisian monuments such as the Louvre museum, Notre-Dame de Paris cathedral, the Orsay museum, the Conciergerie and many others. During an hour, you will discover the City of Lights from an amazing point of view while you will enjoy the serenity of the river. You will discover Paris in a pleasant atmosphere thanks to audio-guided comments and the crew. Comments available in: French, English, Spanish, Italian, German, Portuguese, Japanese, Mandarin, Russian, Korean, Polish, Arabic, Dutch, Hindi. You must collect your ticket at the PARISCityVISION agency (address in the description) at the time indicated. Ticket valid only on the reserved date. The time indicated corresponds to the time of collection of the Louvre ticket at our agency. The agency is 6 minutes walking from the Louvre. We were so glad that we booked Skip the Line because it was so busy and we sailed through. Well worth it! Easy pass pickup and entry, with the few extra $s to skip the line! Ticket pick up is smooth. But there is no queue even for general line at the pyramid on the day I went (early Feb) but well, better be safe than regret especially when I’m on tight schedule. Good to have discounted fare which make it more worthwhile. Fabulous! Take in consideration to have at least 5-6 hours to really enjoy the tour!